Dubai Electricity and Water Authority (Dewa) said it has commissioned a 2MWp solar carport project at its headquarters and at the Ministry of Climate Change and Environment (MOCCAE) building. The Dubai utility had launched the project last year as part of the Shams Dubai initiative, to increase reliance on clean energy, support the Smart Dubai initiative, and achieve its vision of becoming a sustainable innovative world-class utility. 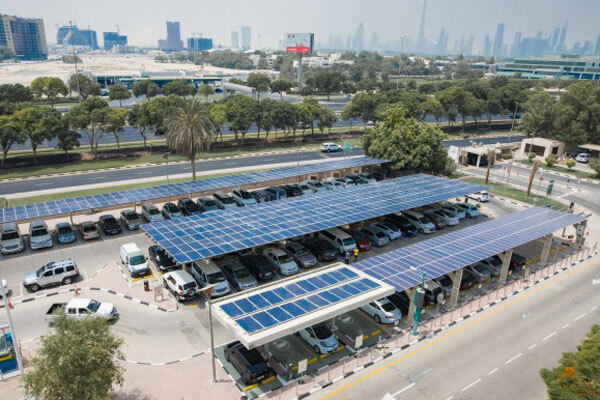 This project covers a total of 885 parking spaces in the two locations, using 6,700 locally manufactured solar modules, spanning an area of 13,200 sq m with a total production capacity of 2,000 kW, said a statement from Dewa. This is equivalent to a reduction of about 1,500 tonnes of carbon emissions annually, it stated. "The solar carport project at Dewa’s headquarters and at MOCCAE is part of our efforts to encourage the public to benefit from the Shams Dubai initiative," remarked Saeed Mohammed Al Tayer, the managing director and CEO. "Through this project, we intend to enhance the happiness of our stakeholders, promote the concept of green and sustainable buildings, and instil a sustainable culture of energy consumption," noted Al Tayer.